Each year, over £60 million is claimed fraudulently through Single Person Council Tax Discount across the UK. Experian’s solution has been put together with councils to find cases where Council Tax discounts may be being claimed fraudulently or in error. It returns the results by priority risk category, meaning you can investigate the most likely cases first to save money, use your resources as effectively as possible, increase fraud detection and maximise council tax revenue. 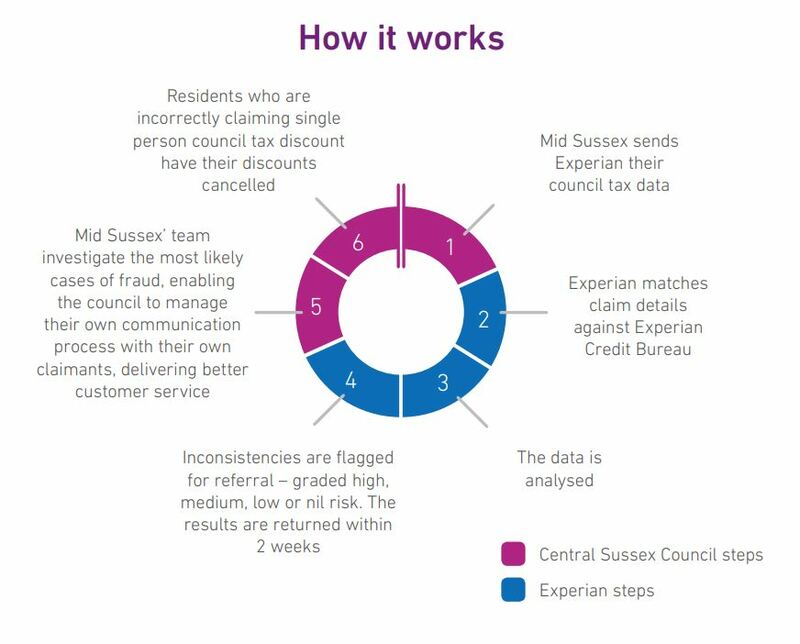 Mid Sussex, Horsham and Adur Councils heard how Experian’s SPD review had saved £220,000 for a neighbouring authority, and contacted Experian to carry out a check. SPD delivers prioritised results, so you can optimise your investigator resource and maximise Council Tax revenue.